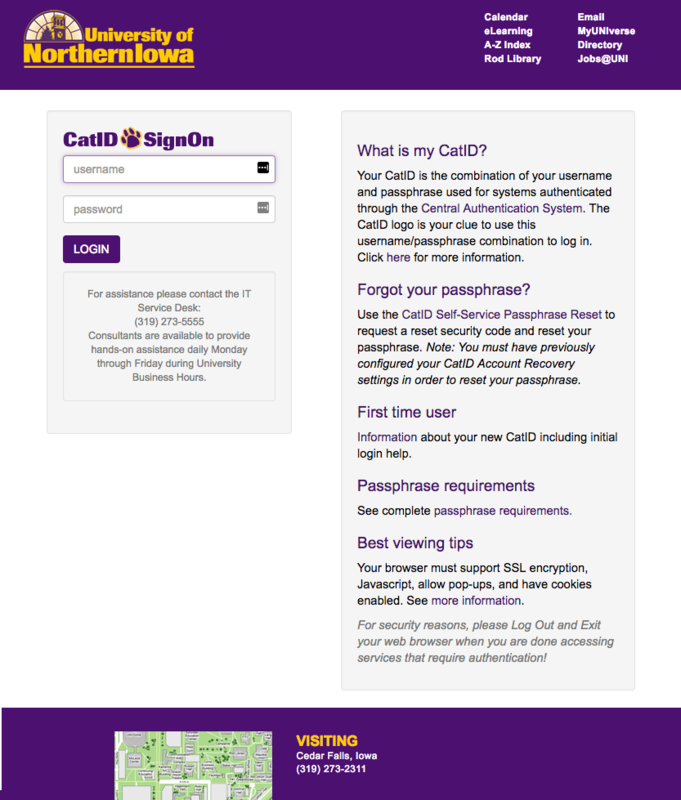 The morning of Wednesday, October 18th, Information Technology will update the look of the CatID login screen used to gain access to many of UNI's online applications. Beyond just having a more updated look and feel, the new login screen will have a responsive design, meaning it will resize itself automatically to be more useful on the smaller screens of mobile devices. As always, if you are unsure if the login screen you have navigated to is genuine, please contact the Information Technology Service Desk at 273-5555, or via email at servicedesk@uni.edu.